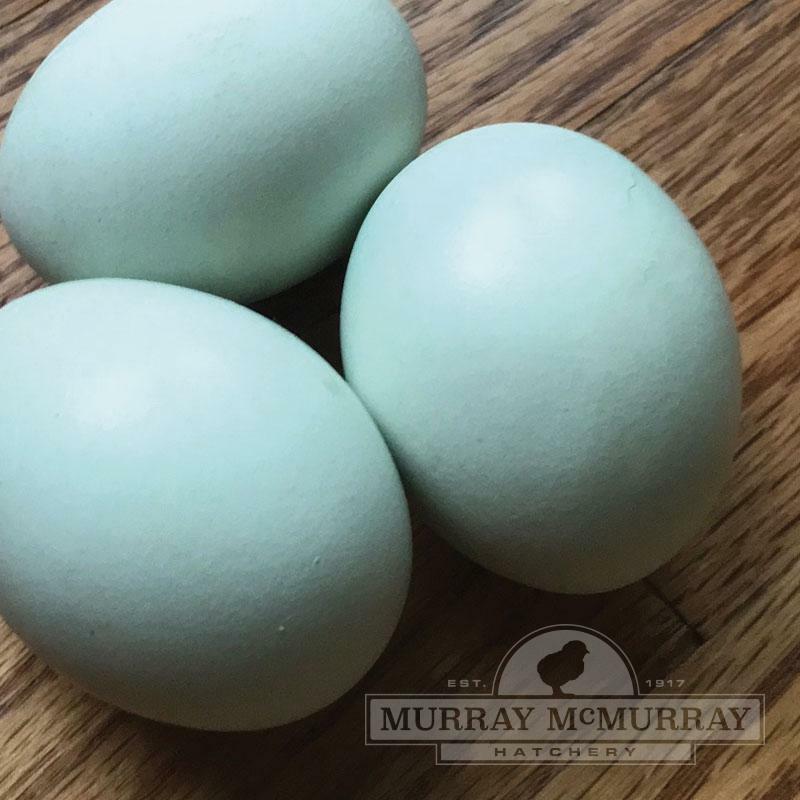 Whiting True Blues, lay a consistent blue egg. 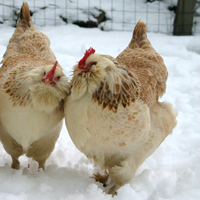 Hens are excellent layers and are not likely to set. 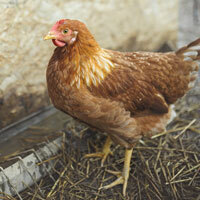 Egg size will start out with medium size eggs and progress to large eggs given adequate nutrition. 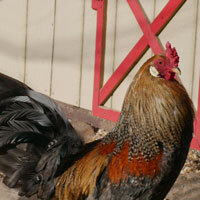 Whitings are not Araucanas, Ameraucanas, or 'Easter Eggers' — they are their own breed. 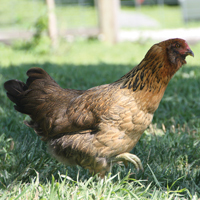 This is a relatively new breed named after the poultry geneticist, Dr. Tom Whiting, who developed the breed. 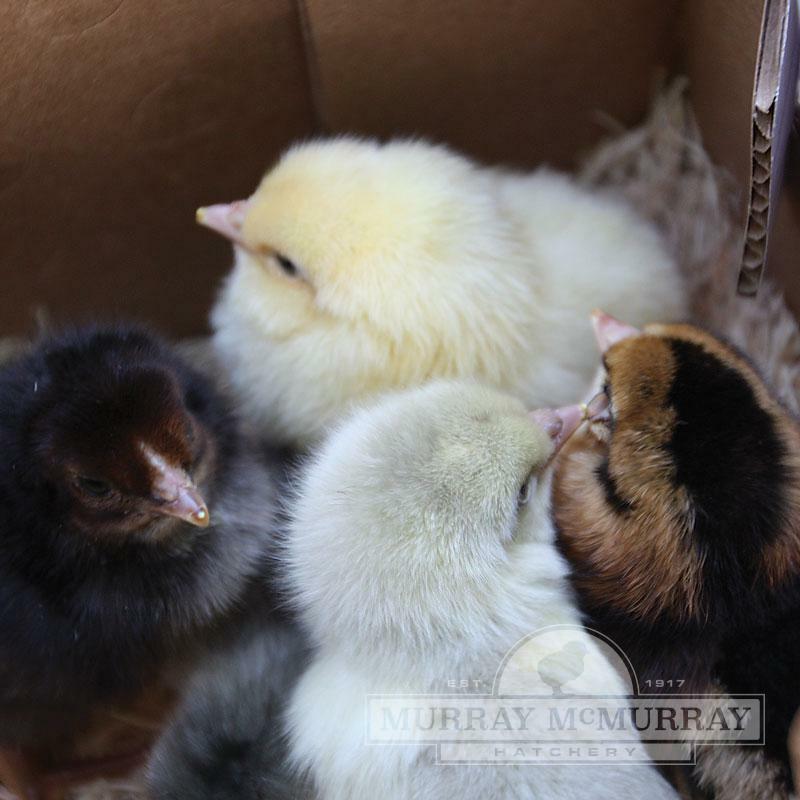 Each bird will have a varying feather pattern, coloration, and leg color which will add color and beauty to your flock. This breed is heat tolerant, has a good disposition and free ranges well. Whiting True Blues will breed true for egg color. Do you sell Whiting True Blue hatching eggs? 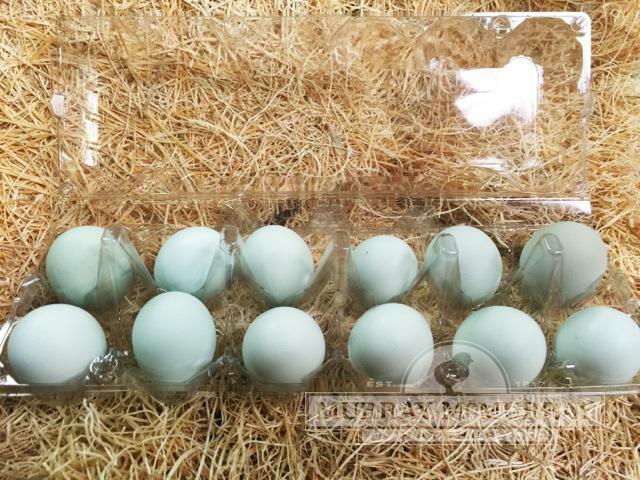 The hatching eggs are sold in assortments only. 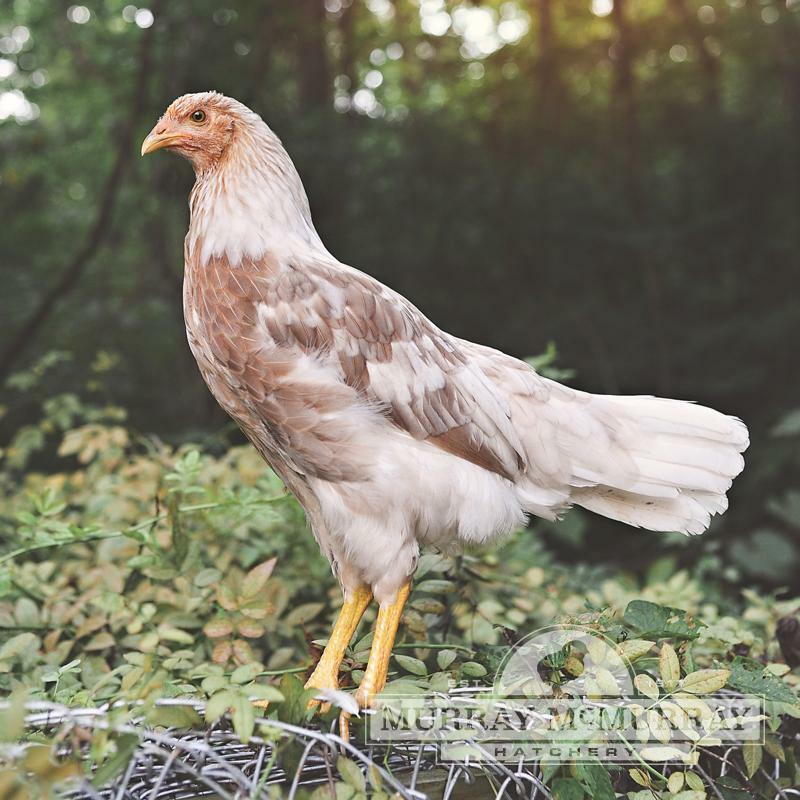 Did Dr. Whiting develop this breed by artificially genetically modifying them (putting another species genes into a chicken to achieve the desired egg color) or by selectively breeding (keeping the best of the best a breeding to achieve the desired color egg)? Dr. Whiting developed the Whiting True Blue breed by selective breeding. What are the mature weights of Whitings? How many eggs a year will a Whiting True Blue lay? What type of comb does a Whiting True Blue have? Whiting True Blues will lay between 280-300 eggs a year. They have a pea comb. Wanted really badI ordered the max allowed but all died. Very disappointed. 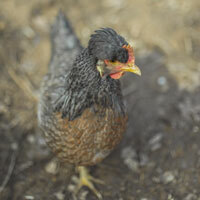 Out of my 2nd order 1 roo and 2 hens lived but then roo just died? Now my 3rd shipment is doing well but roosters again died. hens haven't started laying yet but the 2 hens out of 2nd shipment are laying very large nice blue eggs everyday. Just wish I had a rooster to go with them! No Eggs After 5 monthsI bought 21 total blue and green "hen" chicks for Sept. 3 2018 delivery and just had to give away 5 rosters a few weeks ago. All of my other hens have been producing for at least a month or better. 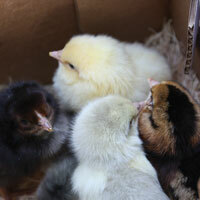 I know it is winter, but I have a heat lamp, they get supplemental feed, light, and nutrients. Why am I not seeing a return on my investment. Everyday when we collect eggs, we are hoping to see a green or blue egg pop up in the nest... NOPE!